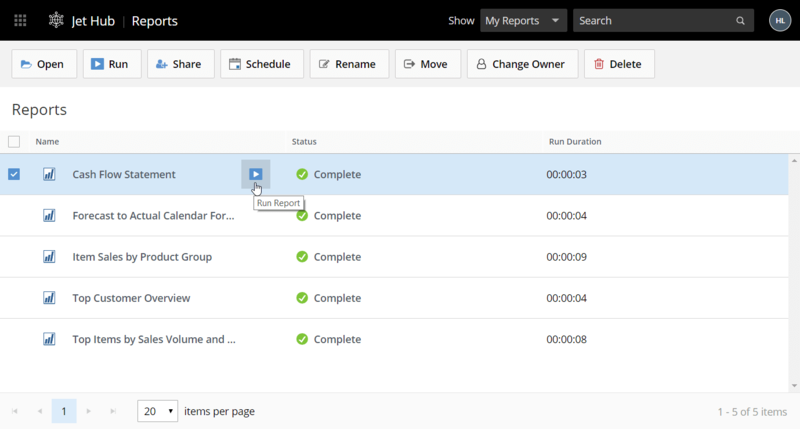 Jet Hub features both an Action List (at the top of Jet Hub) showing the available actions for the selected item. 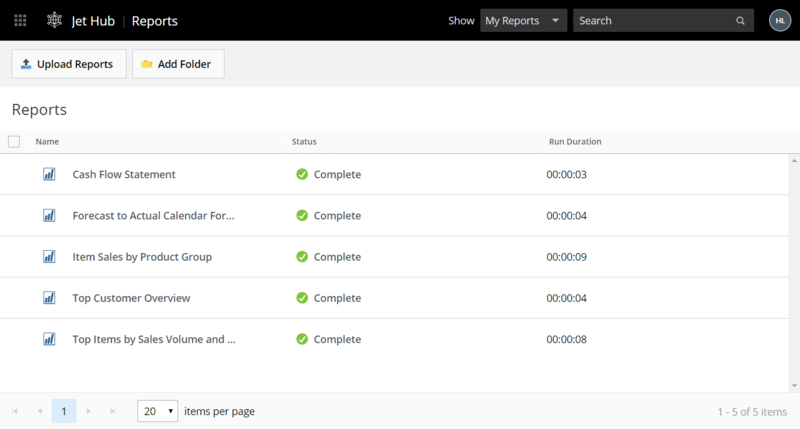 You can also run a report by hovering over that report and clicking the Run Report button. Once the report has been refreshed, the status icon will update, again. One of the most powerful features of Jet Hub is that it allows you to run and view the report without needing to have the Jet Excel add-in - or even Excel - installed on your computer. 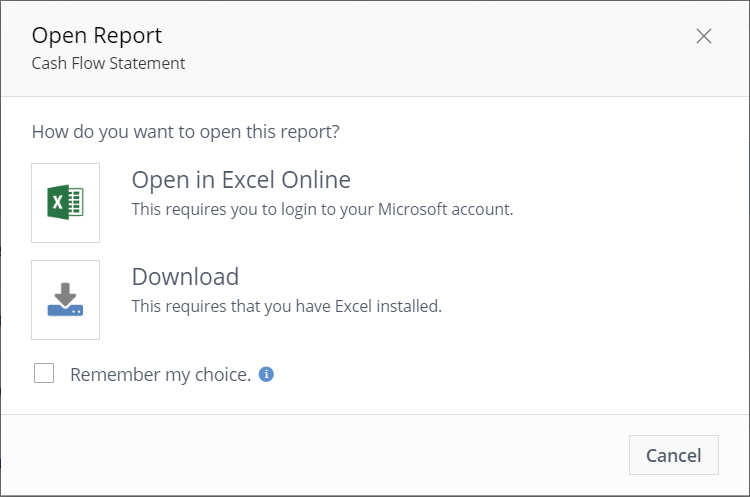 If you have access to Excel Online, you can simply select that option, and view the report directly in your web browser. Anyone with whom the report has been shared can view the current results. Licensed Designers and Viewers can refresh the report - all from within a supported web browser. Alternately, you can download a copy of the report to your computer and open it in Excel. If you are licensed as a Jet Designer, once you have downloaded and opened the report, you can place the report in Design mode to edit it.